Home > CV Starting Points > Why Write a CV? Even if you're planning on being self-employed throughout your entire professional life, it still behooves you to have a current résumé or curriculum vitae (CV). This document has many implications and you'll find it practical in a number of settings. Below, a few of the most relevant uses for a CV are outlined. As any job seeker knows, a CV is almost always invaluable when searching for a situation or appointment. Yes, there may be times when a CV is unnecessary, as in some laborer professions or hourly part-time positions, but it is usually essential. The CV is often the first introduction a prospective employer has with a potential employee; thus, this document holds a special power. The impression it gives can land someone an interview, making it a critical piece of job hunting equipment. Even if you're already working, you will want to keep your CV up-to-date, as some personnel departments periodically like to request new CVs from current employees. And if your organisation merges with another, you may even have to "reapply" for your own position (yes, it's happened.) In that case, a CV will come in quite handy and could save you from losing your paycheque. If you work on your own, it's still important to have a CV at the ready. Many times, new clients will want to see this document to ensure that you have the proper credentials to perform the service you're selling. That way, they can feel comfortable hiring you. As a business owner, you may even want to put your CV (or an abbreviated version of it) on your website to further "legitimise" your credentials to prospective customers. After all, a CV is a reflection of your accomplishments; why not show them off a little? Should you find yourself in a job where you regularly deal with the media, a CV can be beneficial. 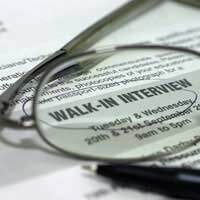 Often, reporters will ask for a CV in addition to (or instead of) an interview; thus, they can "beef up" an article about you and/or your company by using information gleaned from your CV. If you are a sole proprietor, you may even want to include your CV in press packets when you send out releases. Again, this will ensure that journalists and publishers have your correct, updated information should they choose to print anything about you or your establishment. Sometimes, "non-traditional" students like to use a CV as part of their applications to institutes of higher education. By clipping their CVs onto the standard university or college applications, they hope to catch someone's eye. This seems to be especially common for persons attempting a degree or certification in a business-related area, such as a Masters in Business Administration (MBA). Finally, you may want to put together a CV for your own purposes. Because it is an indication of all your successes, it can be a nice "morale booster" when times are rough. For instance, if you've been feeling a little blue about your current situation, it might be helpful to look over your CV. That way, you can see all that you've been able to achieve thus far; you may even be reminded of a few of the best times you've had volunteering or working on business assignments. If nothing else, it will help you see in black and white exactly how far you've come over the years.